And a massive power plant. 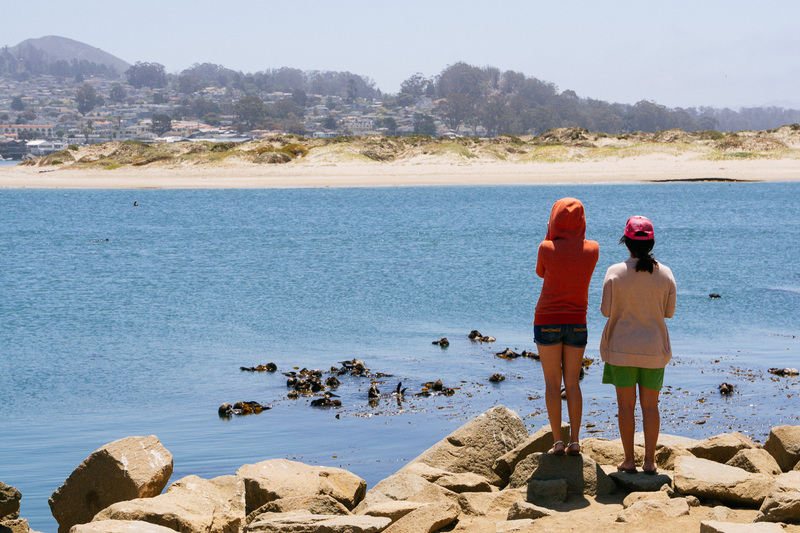 That’s Morro Bay. But worry not, the power plant is out of operation now. This is a place that I passed a couple of times on my way down to Los Angeles and I’m sure that I’m not the only one. There is not much to see at first glance even though that the famous highway number 1 passes right through this little town. Some huge cooling towers from a power station and a large rock close to the beach. On our second last trip to the USA we finally explored the place a little bit on a day trip from our hotel at Pismo beach. What a great place. 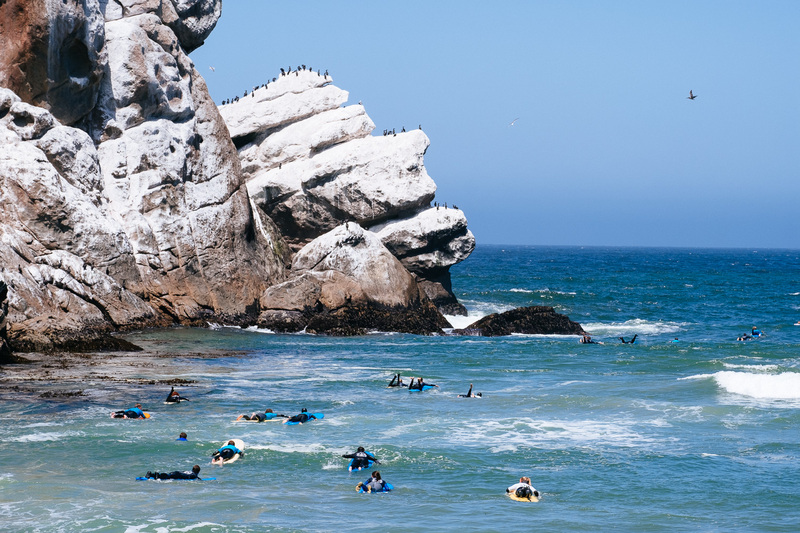 This little town has everything that I love about the coast of California: wild beaches, wildlife and surfers. 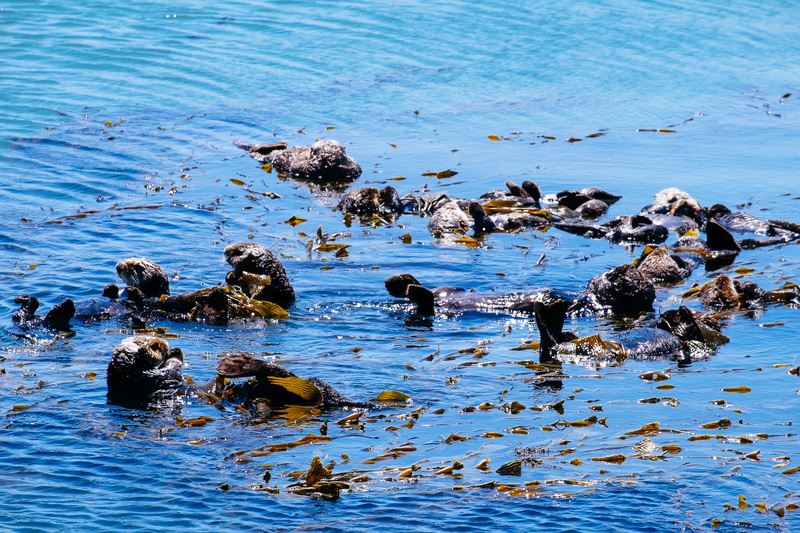 And sea otters! Many of them. The most adorable sea creature on earthl. 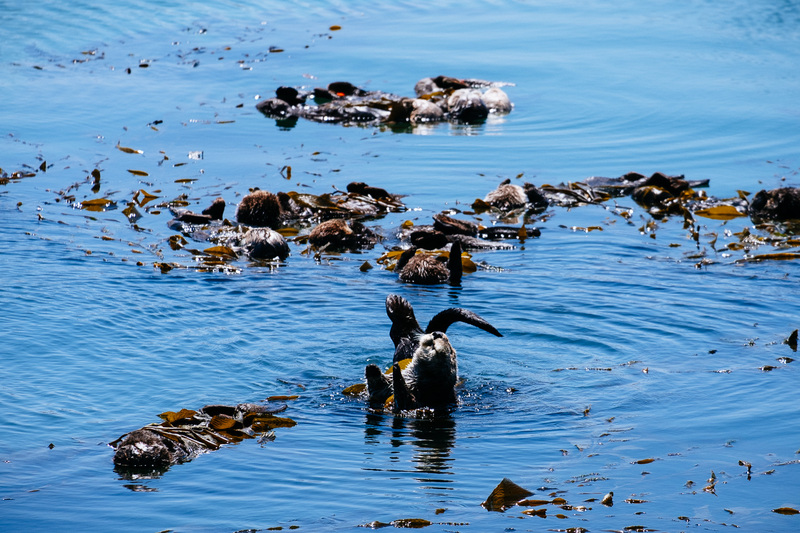 Have you ever seen a sea otter couple drifting in the water holding hands (paws)? My first encounter with sea otters happened in the Vancouver aquarium a long time ago where a sea otter coupe drifted in an outside pool, side by side, holding their paws to avoid that they would drift apart. They were sleeping but every time they lost contact they woke up and reached for the partner. Just like young lovers. 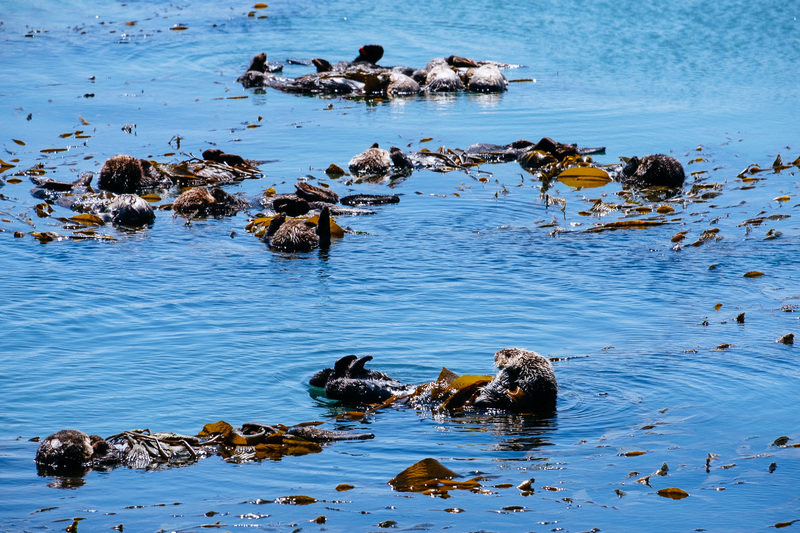 Sea otters are amazing creatures. 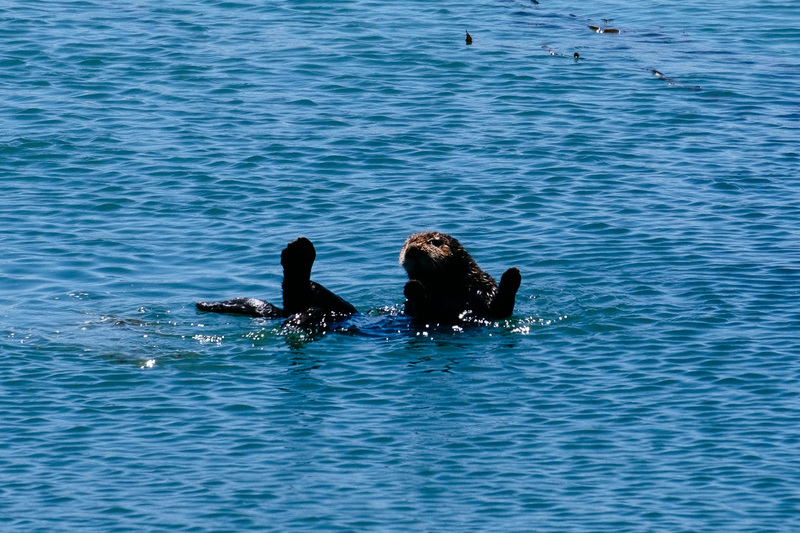 But there are not only sea otters in Morro Bay. 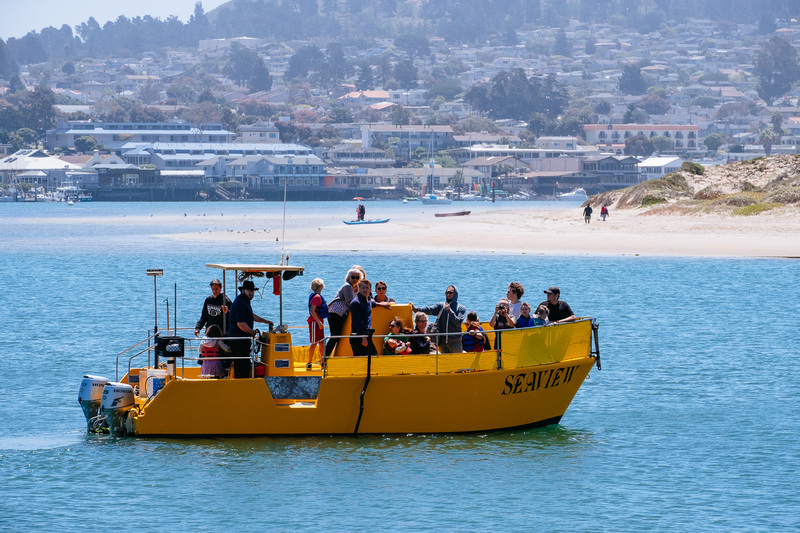 There are many sea lions and more pelicans that I ever saw on one place. This is a paradise for wildlife and I wonder how someone could come up with the idea to built such a massive power plant there. But of course that was in the 50s and people liked the idea to have a power plant in their town as it created hundreds of jobs. And because the place was so scenic and beautiful they paid a lot of attention to the design of the plant. Especially the three high smoke stacks look really special. Of course it is neither easy nor cheap to demolish such a big building but I think it is only a question of time. 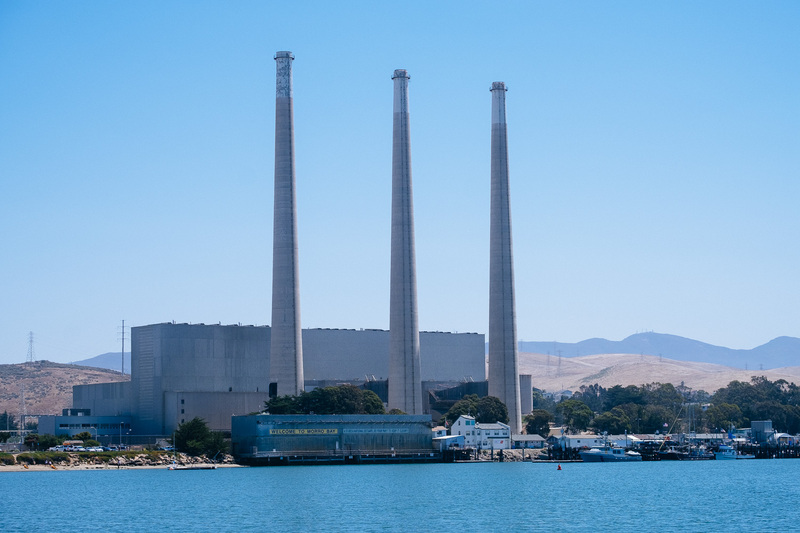 It’s a wonderful place on the coast and would it be any rearer to either San Francisco or Los Angeles the plant would have been replaced by fancy mansions already. 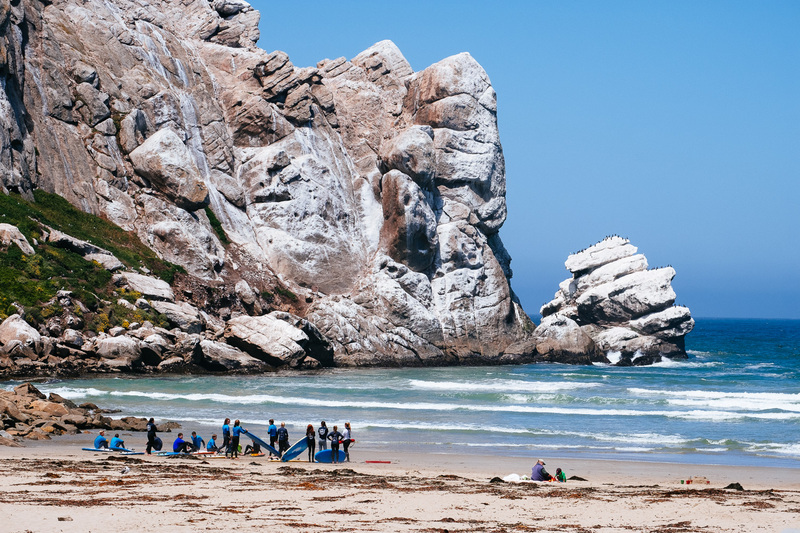 But Morro Bay sits right in between San Francisco and LA so it is far enough from both cities that it will not become just another beach house home for the rich. 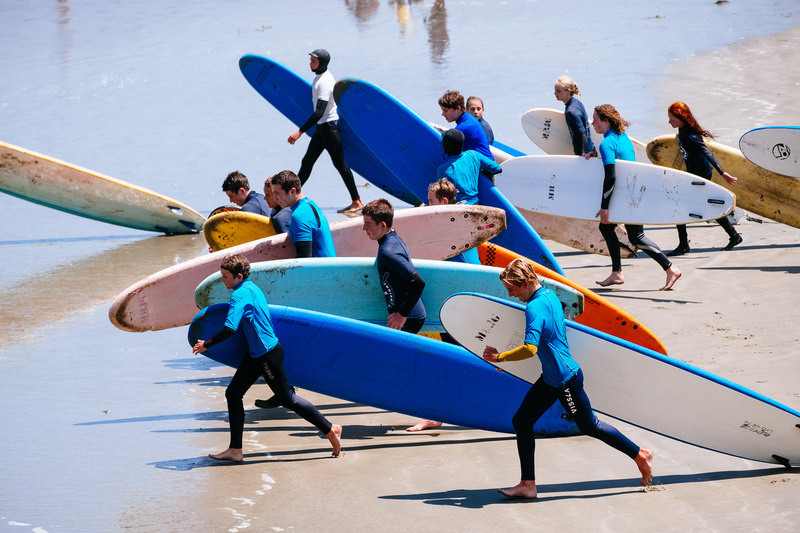 When we were there we also witnessed a training sessions or race of some teenagers who might become lifeguards some day. 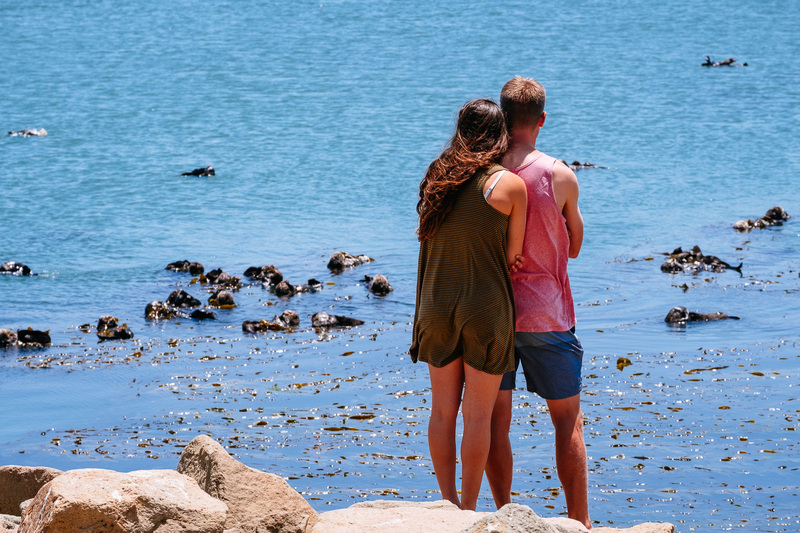 And on the way back to the sea otters I saw a young couple watching the sea otters just like we did almost twenty years ago. Young lovers. 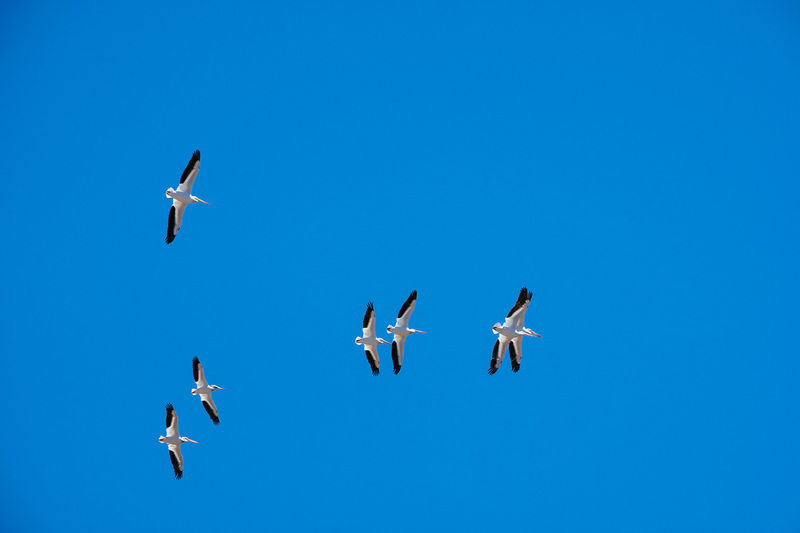 And pelicans were flying over our heads. This place is as close to paradise as it gets and you shouldn’t miss it on your way South thanks to the three massive smoke stacks. This entry was posted in Travel, USA and tagged California, Fuji X Pro-2, Fuji X-T1, Fuji XF 55-200 OIS, Sony 18-200 OSS LE, Sony A6000, USA, wildlife by admin. Bookmark the permalink.